Drawing while laying down or kneeling and looking up is not how we normally draw but it sure is fun! 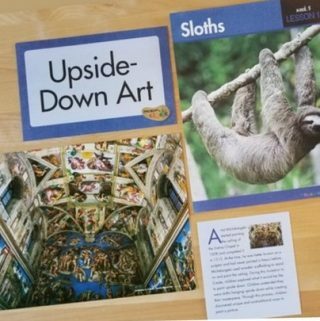 That’s how Michaelangelo must have painted the ceiling of the Sistine Chapel, our inspiration for our upside down art on the day we learned about sloths in the rainforest. 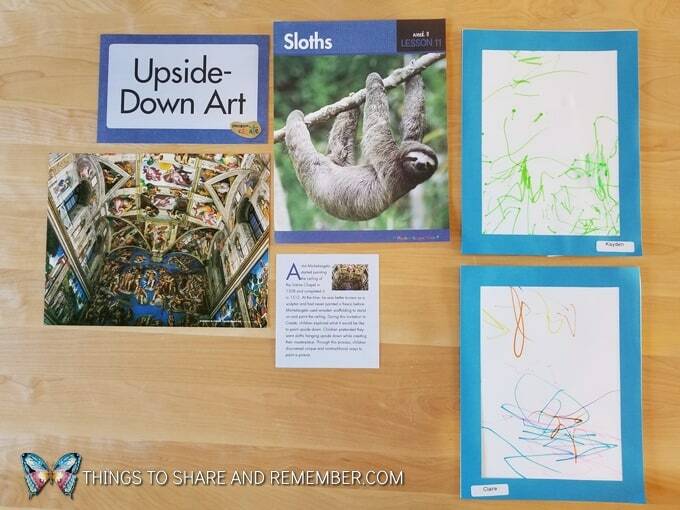 So why do sloths hang upside down? Good question, very interesting… Read why here. 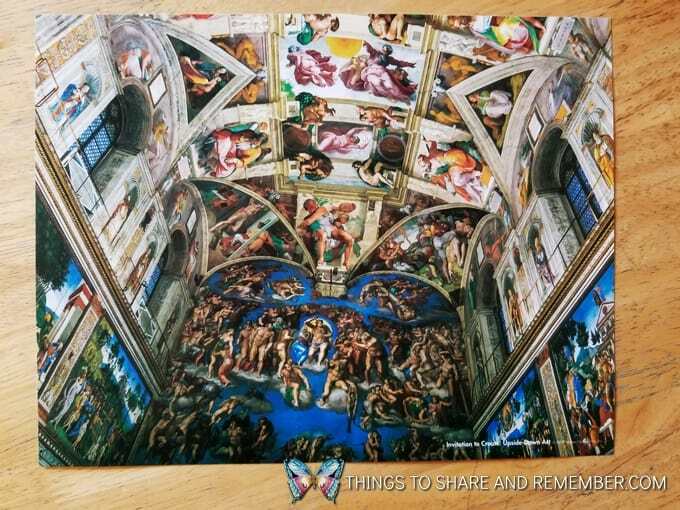 We explored what it must have been like for Michaelangelo to paint like this and how it is for a sloth to hang upside down all day. It’s a great idea to change perspective for art! Kinesthetic learning or using the whole body to learn is an effective way to learn. It is also fun! 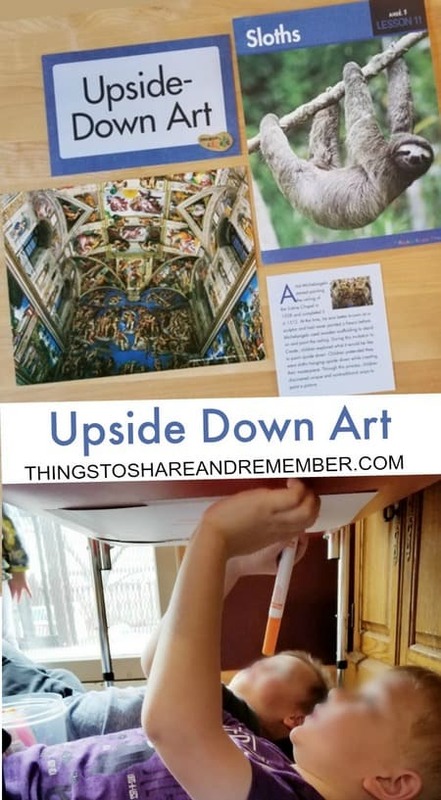 Upside down art is such a sensory experience. Laying down on the floor, feeling the hard, cool floor on the back, resting on the floor. Looking or reaching up, trying to draw from this different perspective is challenging. It takes concentration, it’s interesting and it’s fun. 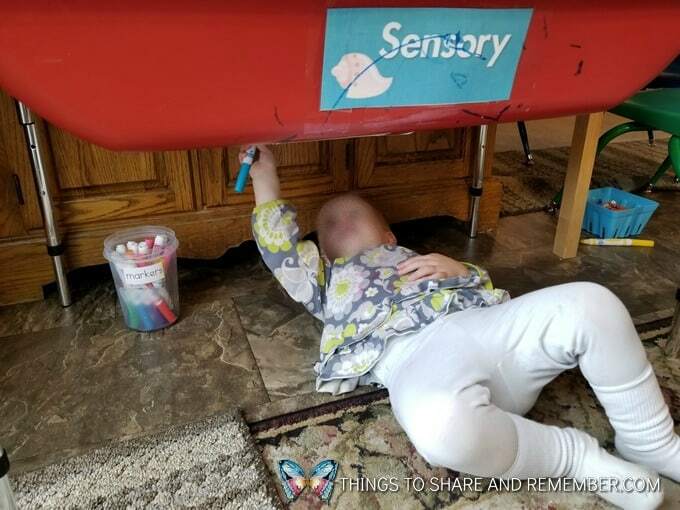 My 4-year-olds down to 20 months enjoyed this activity. It was something they all could do. Why don’t we do this more often? We should! Artists frame their art so we did too. Beautiful! 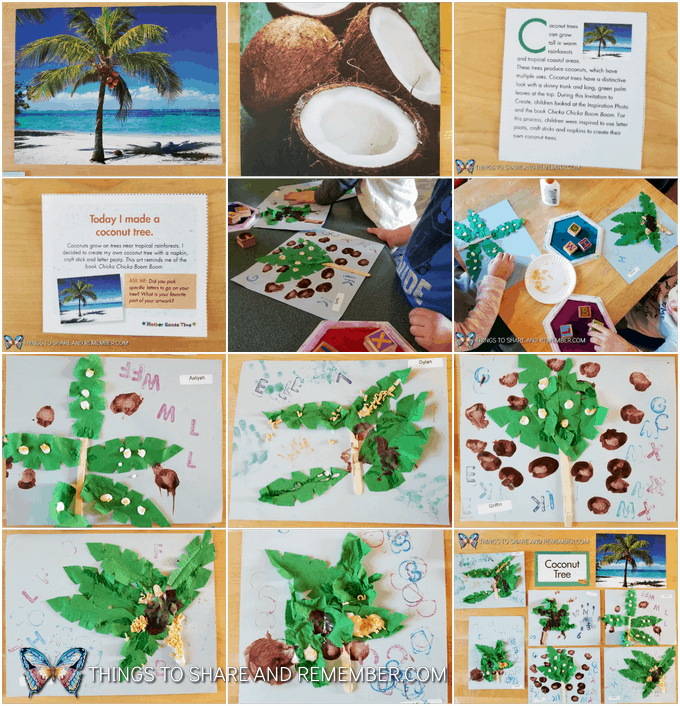 More Rainforest Adventure fun with Mother Goose Time, this time making Chicka Chicka Boom Boom Tree Art! I liked the many steps of this project, which sometimes deters us from attempting activities with little ones, but the results are worth it! I haven’t met a kid that doesn’t like the Chicka Chicka Boom Boom story and it offers so many ideas for literacy fun, even art. 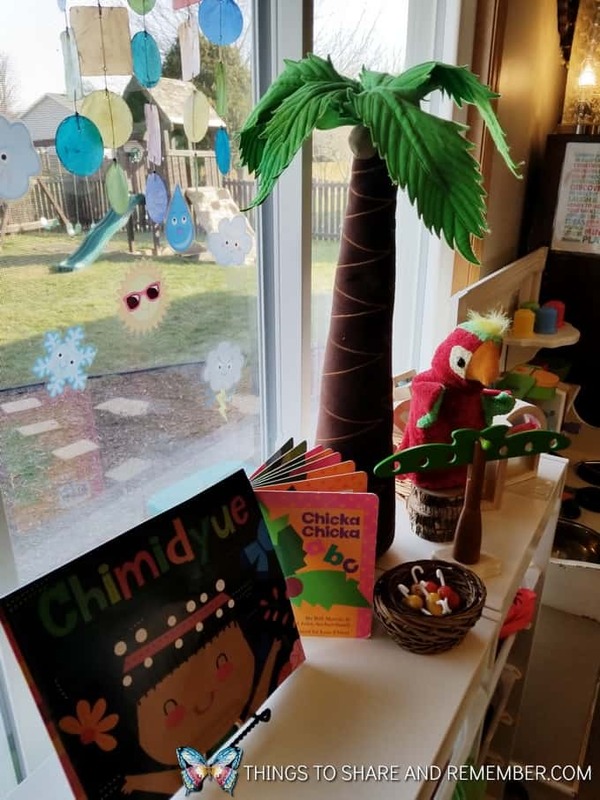 We’ve had our Chicka Chicka Boom Boom Tree and books out all month with our Chimidyue book, monkey balancing tree, puppets, wood blocks and more for our Rainforest Adventure. I don’t have a lot of room in my family child care, but this is one area I change up and highlight our themes. 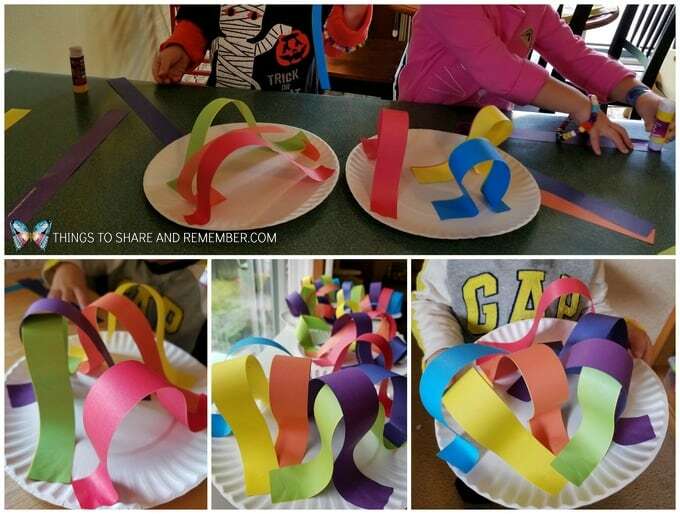 This project used simple materials: a craft stick, green paper napkin, and alphabet pasta. 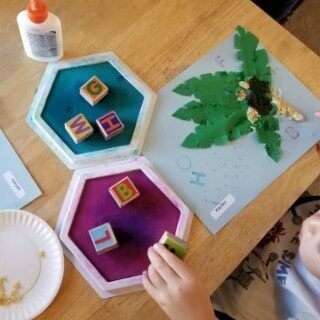 After gluing the tree together with leaves cut from the napkin and the craft stick for the tree trunk on blue paper, we glued on the alphabet pasta. Then the kids stamped alphabet letters on their page. Everyone was enthusiastic about this project even though it involved several steps. I helped out by cutting the leaf shapes from the napkins. It reduced the frustration and time involved. Sometimes a little simplification helps and the end results are still individual art. 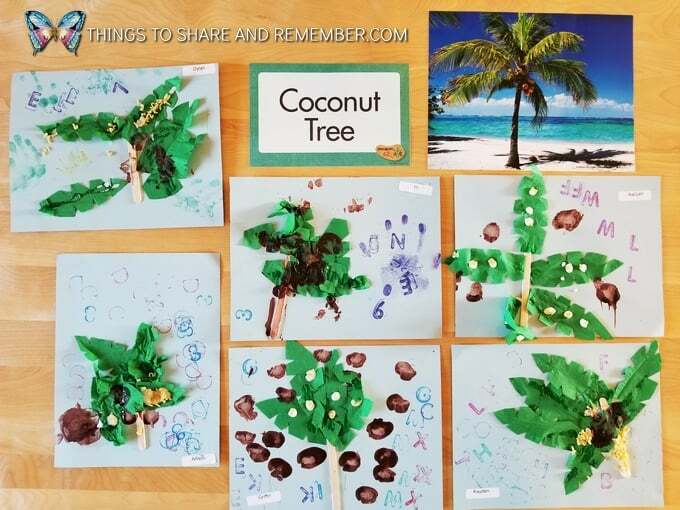 We loved making coconut trees from the rainforest and identifying letters in the Chicka Chicka Boom Boom Story! 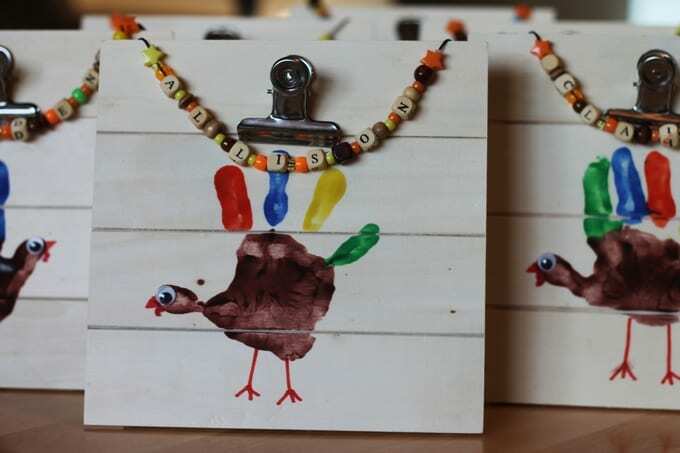 Every year we make turkey handprints for Thanksgiving and although they would certainly be treasured on paper, it’s fun to do something different each year. 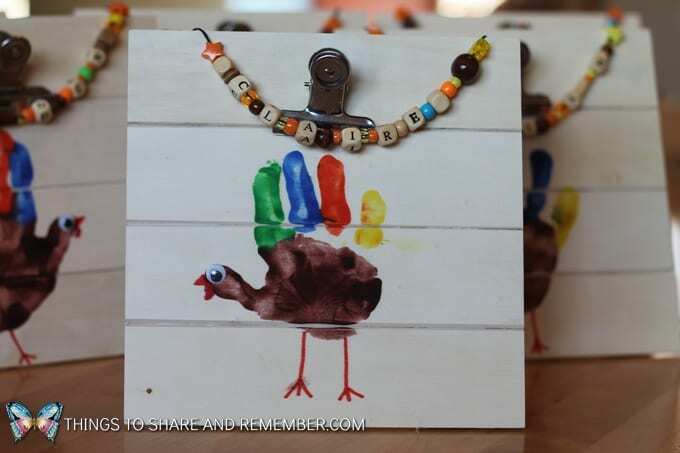 Handprint turkeys are one of my favorite Thanksgiving traditions! 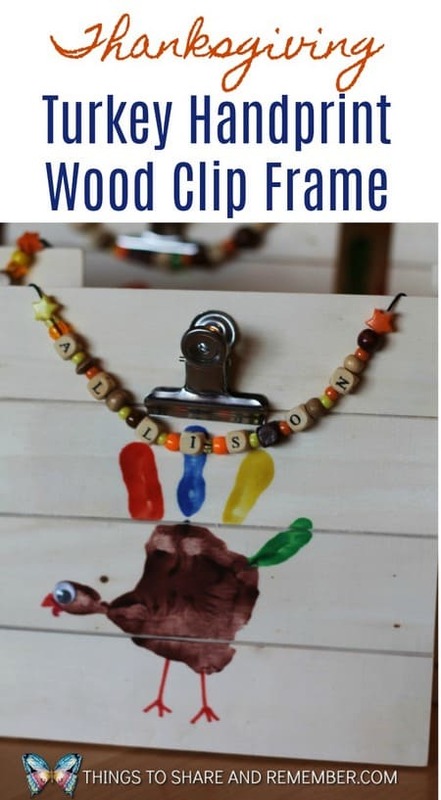 This year we made Thanksgiving Handprint Turkey Wood Clip Frames. 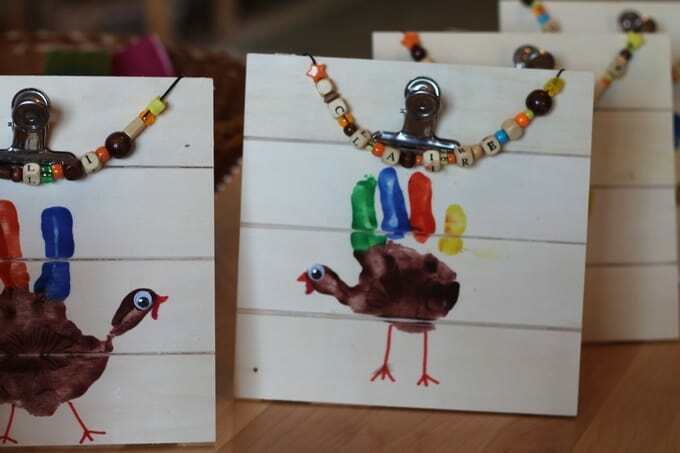 Our latest box of complimentary craft supplies from Craftprojectideas.com came with all these wonderful natural materials that just seemed perfect for a fall or Thanksgiving craft. I already had the wood clip frames on hand, so the idea came together. 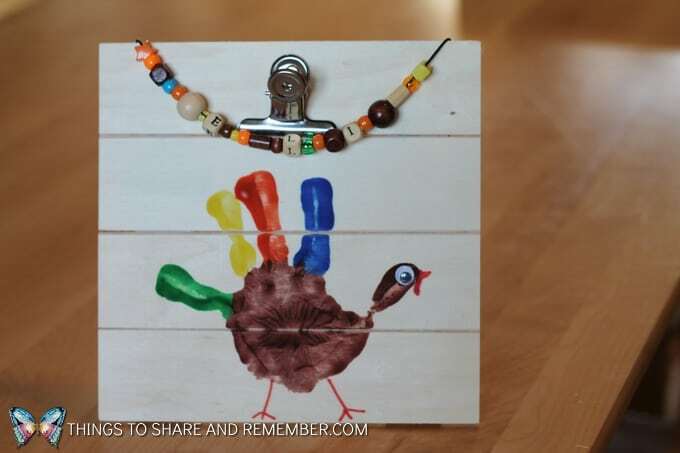 Paint the child’s hand and make a turkey handprint on the frame. After it dries, add the details: legs, wiggly eye, beak and waddle. 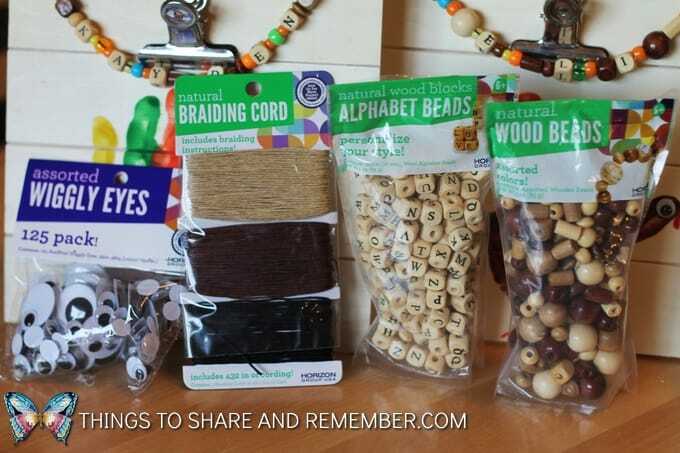 On the braiding cord, bead the child’s name using colored plastic beads, natural wood beads, and the natural block wood alphabet beads. 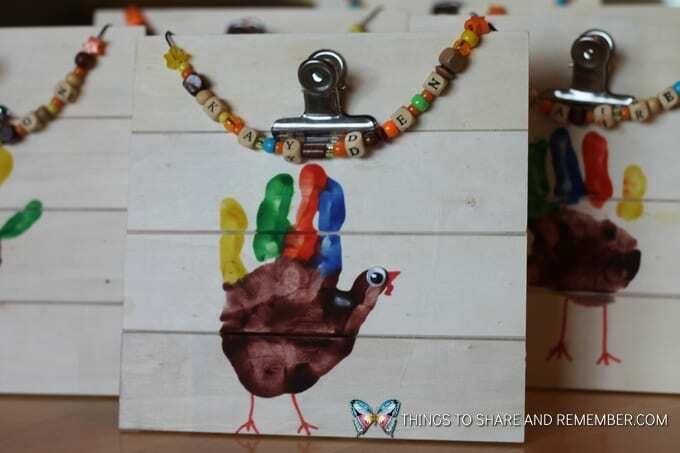 Knot the ends of the braiding cord and hot glue them to the back of the frame. All done! 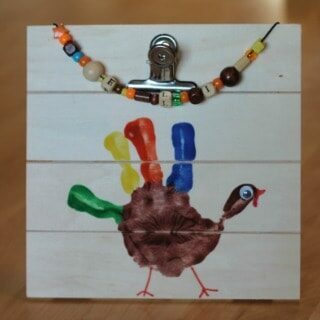 Your Thanksgiving Handprint Turkey Wood Clip Frame is an adorable display for Thanksgiving or gift for grandparents. 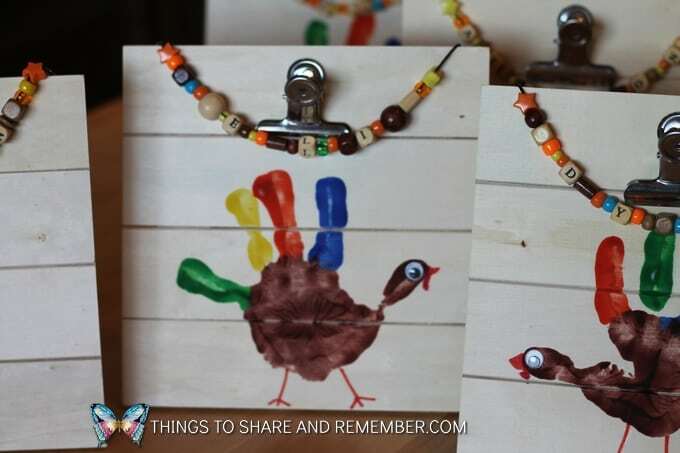 Throughout the year your clip frame can hold photos or artwork by the child. 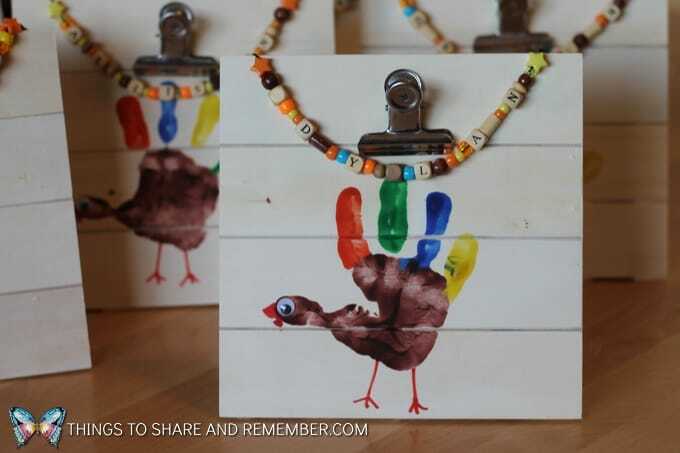 Preserve those precious little handprints each Thanksgiving. You’ll always treasure them! Our first week of Weather & Changing Seasons was about all kinds of weather. 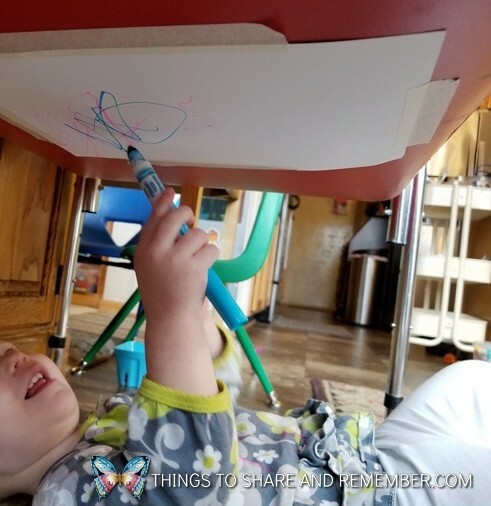 Learning about different types of weather allows children to look outside of themselves and investigate the world around them with their peers. 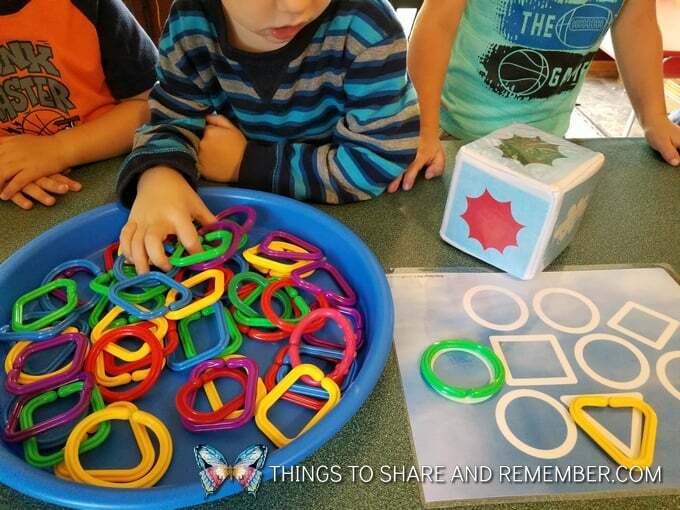 Sunny Shapes: This tabletop math activity uses linking shapes and a shape design mat. Mother Goose Time sends the best manipulatives with their curriculum. 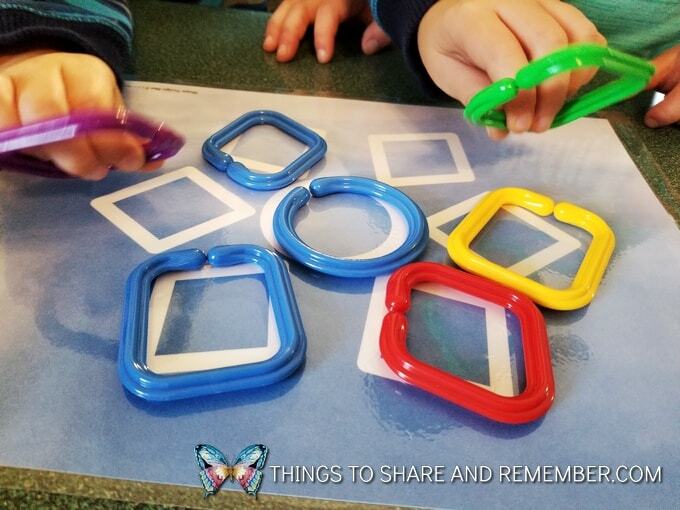 They can be used for matching, creating patterns, and games like this one. After rolling the Pocket Cube the child finds the matching colored link. The game continues until all the shapes on the mat are filled. 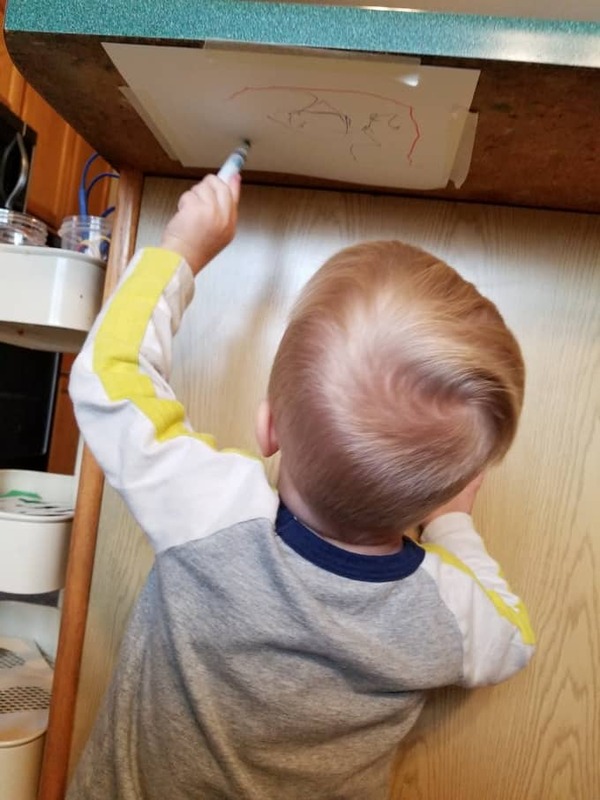 If the child rolls a cloud, he doesn’t take a link. Sun and Moon: Our creative art for the day was a Sun and Moon Make & Play project. 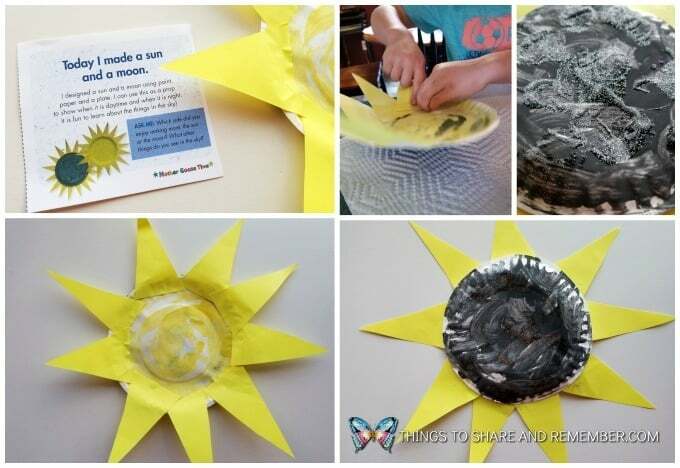 One side of the paper plate is a sun and the back is black with glitter craters for the moon. When we see the moon, we can’t see the sun. It’s a great learning project! Fan Experiment: Wind is air that can move things. We can’t see it but we can feel it. The fan experiment allows children to explore technology. We used scarves to play with the wind. 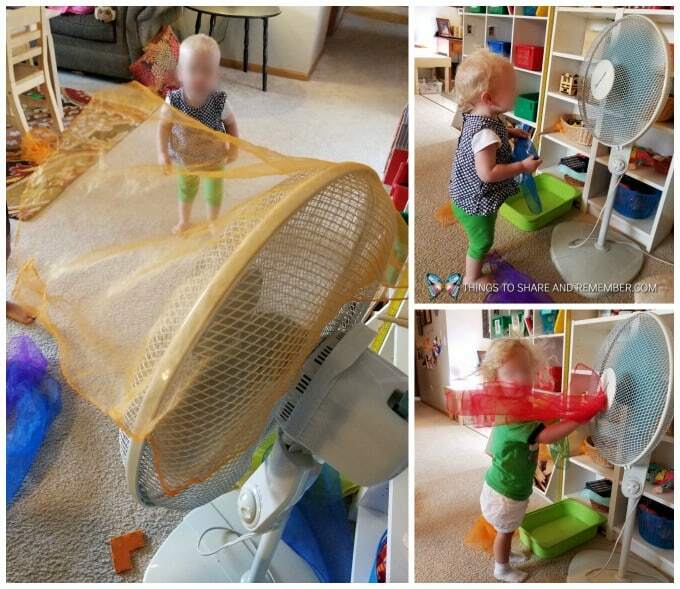 It’s fun to feel the wind from the fan and hold up scarves and watch them blow when we let them go! 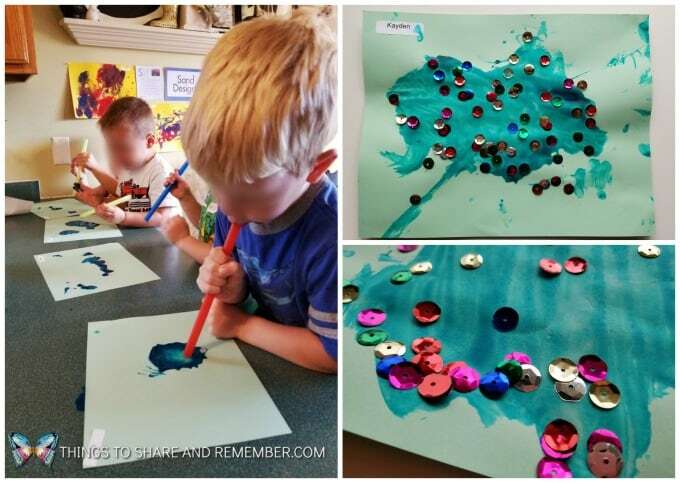 Wind Art: We used “wind” or air blown through straws to blow sequins on paint mixed with glue. 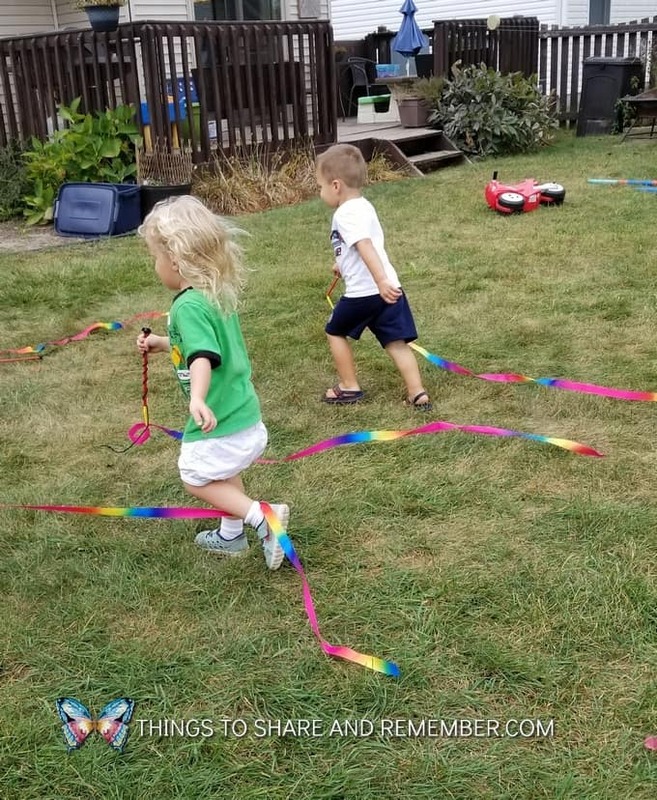 We played outside with rainbow ribbons in the wind too. Ordering Kites: our small group math activity: sorting counting bears by size – small, medium and large. The medium and large bears are quite similar in size so it was a little tricky. 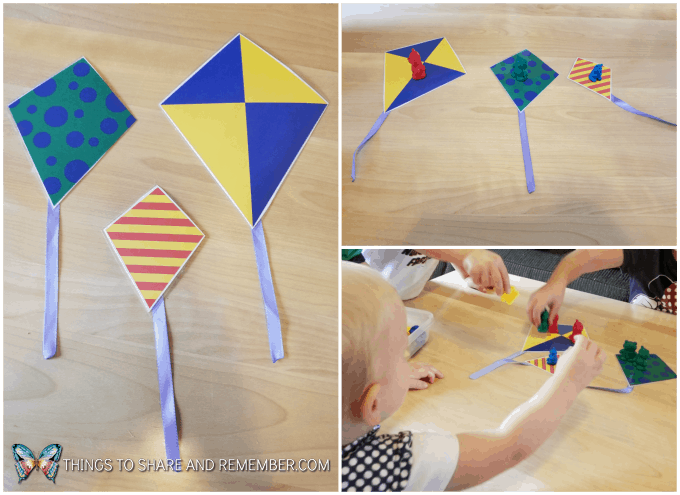 Some of the toddlers matched the colors of the bears to the colors on the kites, which worked too. Heavy Clouds: We learned about clouds through a STEAM station. I love how simple this experiment is. 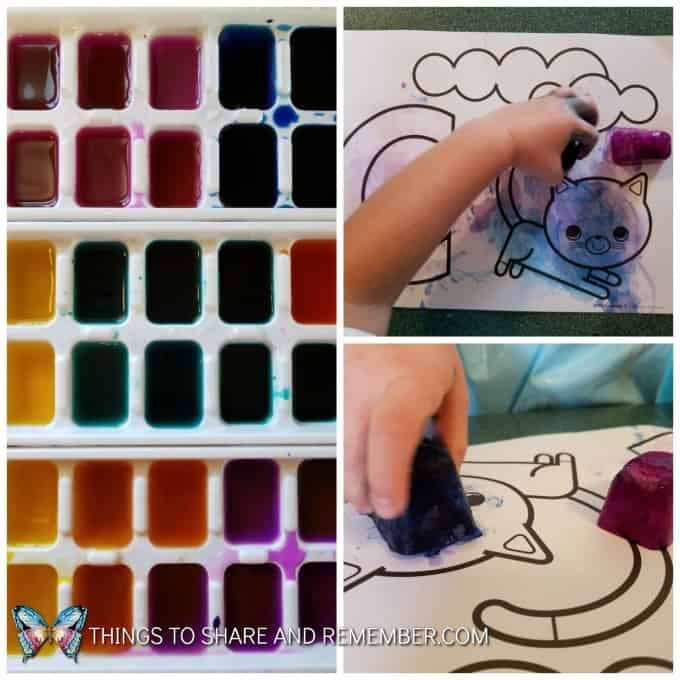 Fill a cup with water, spray shaving cream on top and then use a pipette to drop colored water onto the “cloud”. The colored water drips down like rain. The kids loved that they could do it on their own. 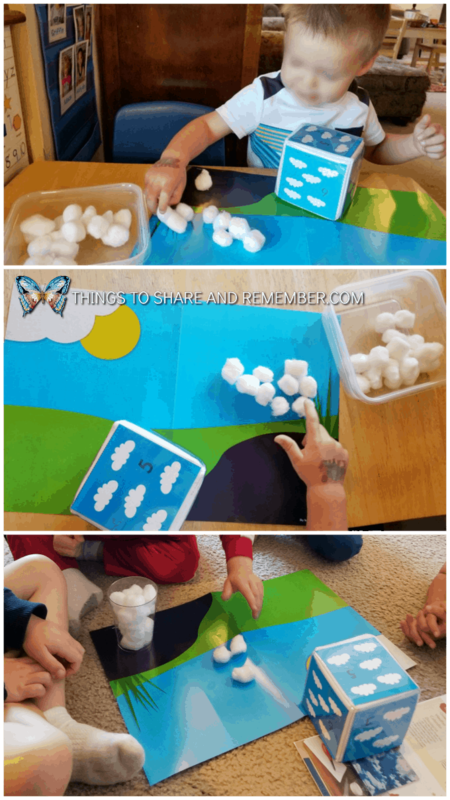 Counting Clouds: rolling the Pocket Cube and counting out cotton balls to put on the sky scene. 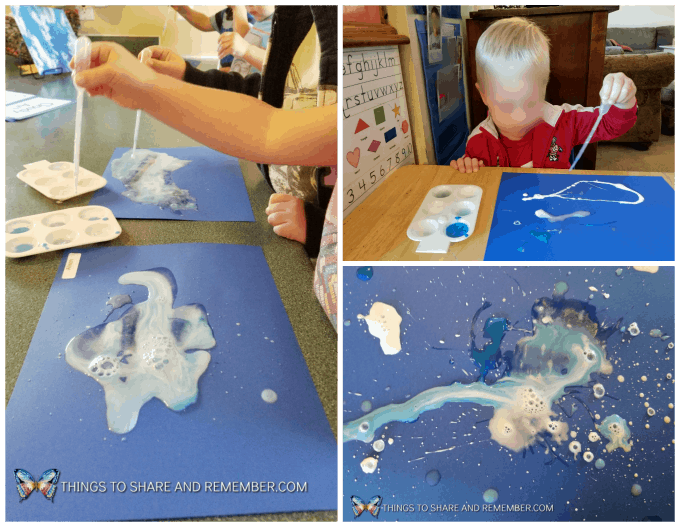 Cloudy Art: Using pipettes, white and blue paint, we made cloud art. 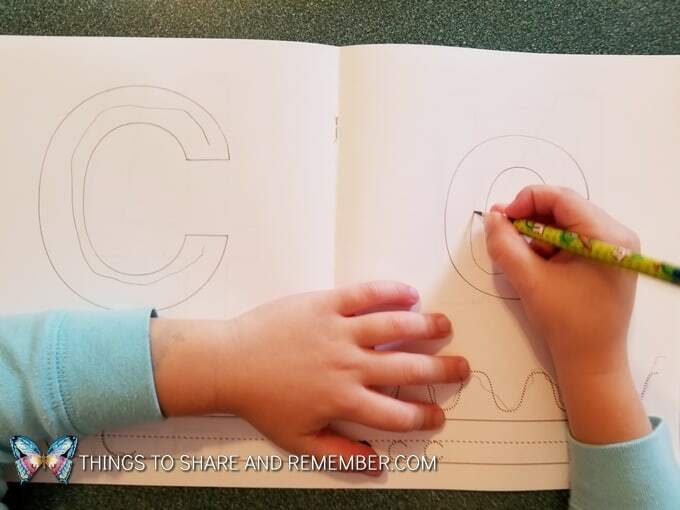 Ice Cube Coloring: we used frozen watercolor paints to paint our letter Cc page. 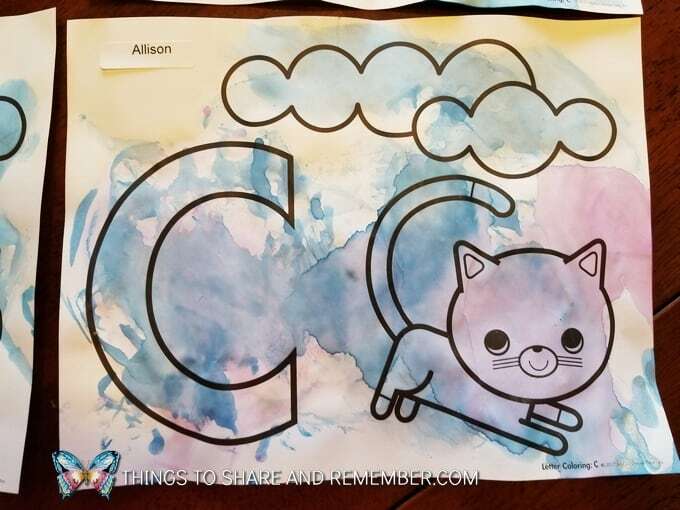 C is for cat, cloud, cube, and cold. 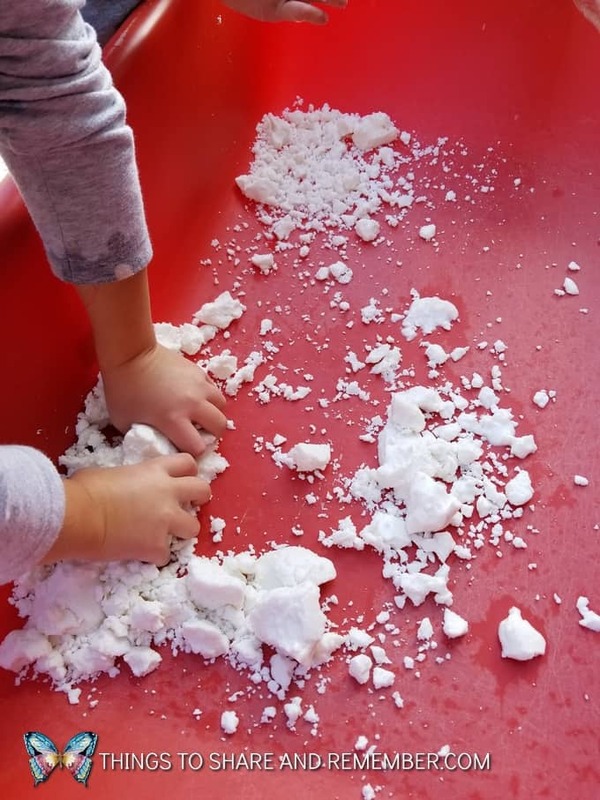 Snow Dough: cornstarch, baking soda, oil, and water. It wasn’t a super successful recipe but it was a pleasant texture and kids always love messy! 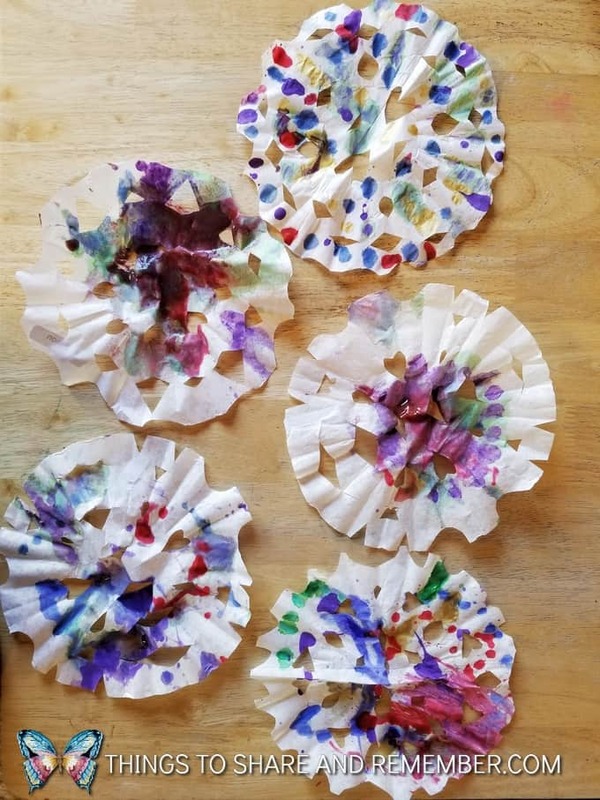 Coffee Filter Snowflakes: painted with pipettes and thinned paint. 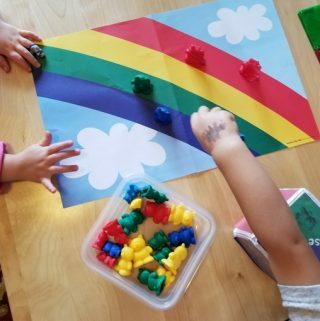 Rainbow Bears: sorting bears by color or rolling the Pocket Cube and finding the same color bear and putting it on the rainbow mat. Rainbow Bracelet Beading: beading on pipe cleaners. 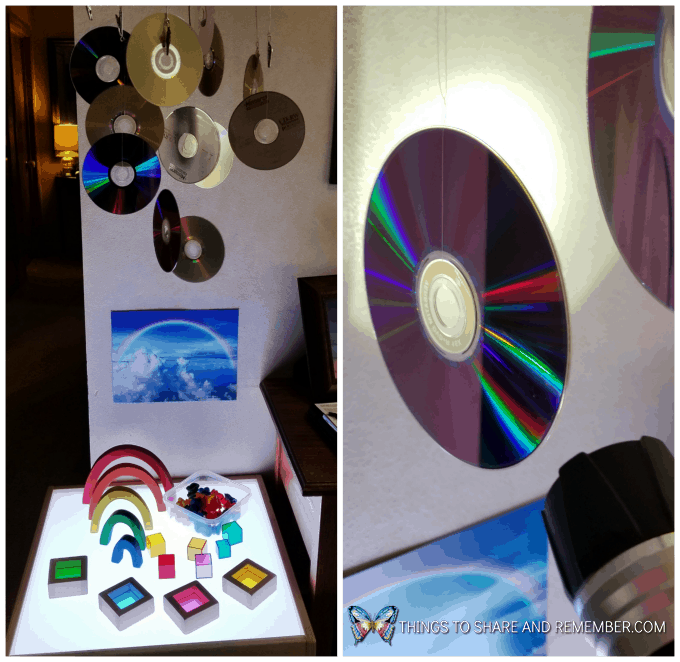 Rainbow CDs: I hung CDs on our mobile over the light table to make a rainbow light center. Our Spacesaver light table is from Lakeshore Learning. 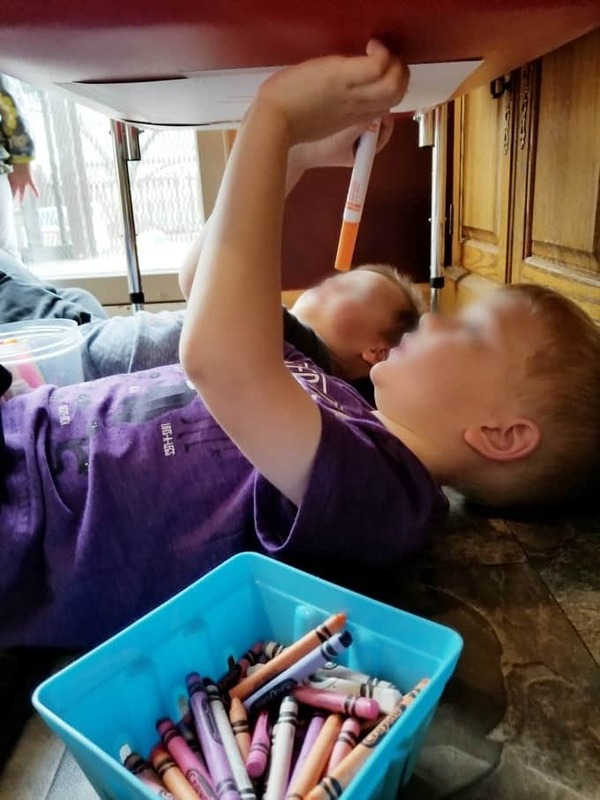 This was a great STEAM station for the kids to explore light, colors, and rainbows with flashlights and colored toys on the light table. What a great week learning about all kinds of weather! 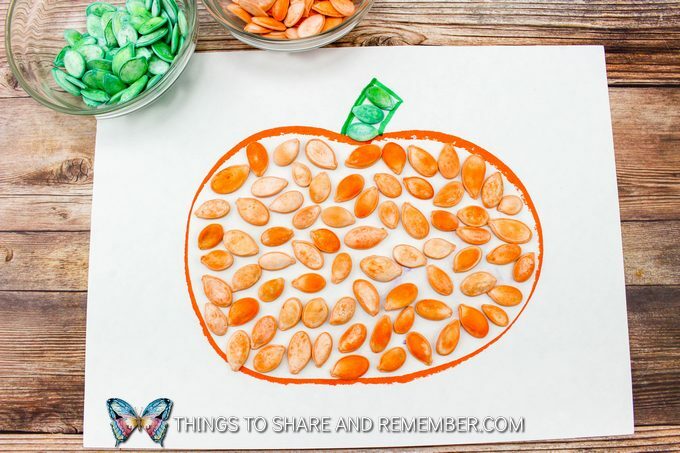 Try something new this fall with dyed pumpkin seeds. 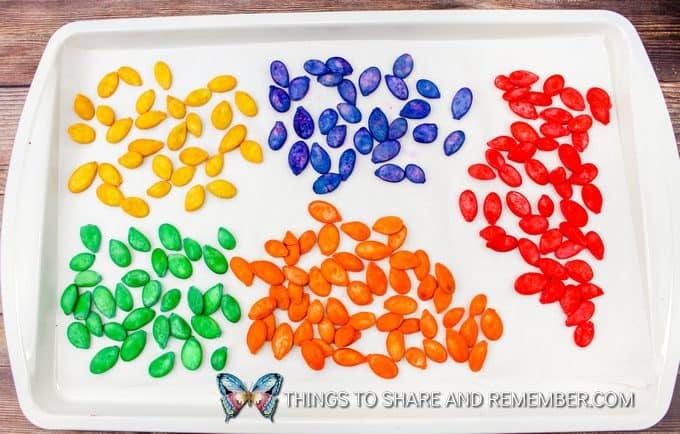 It’s a great way to explore seeds and use something different to create art. 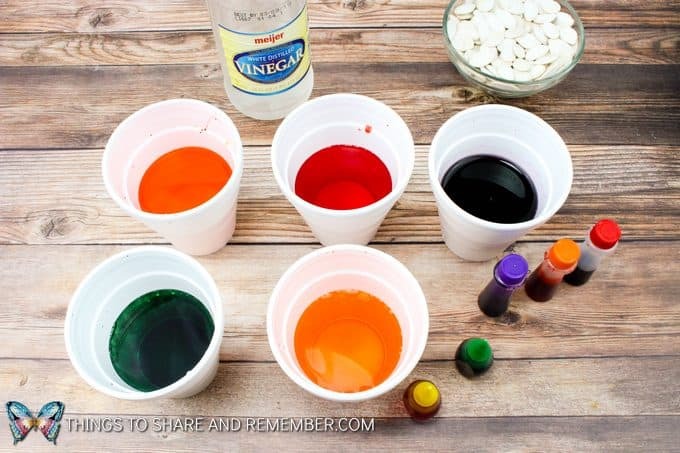 In each of the 5 cups, put 2 tablespoons of vinegar and 1/3 cup water. 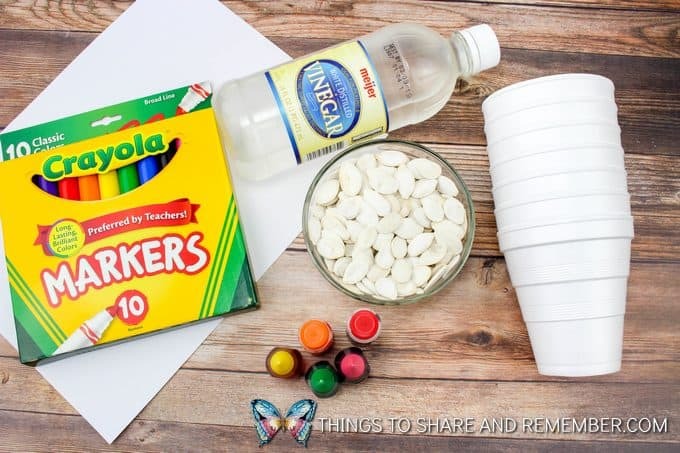 Add 8-10 drops of coloring to each cup and mix well. 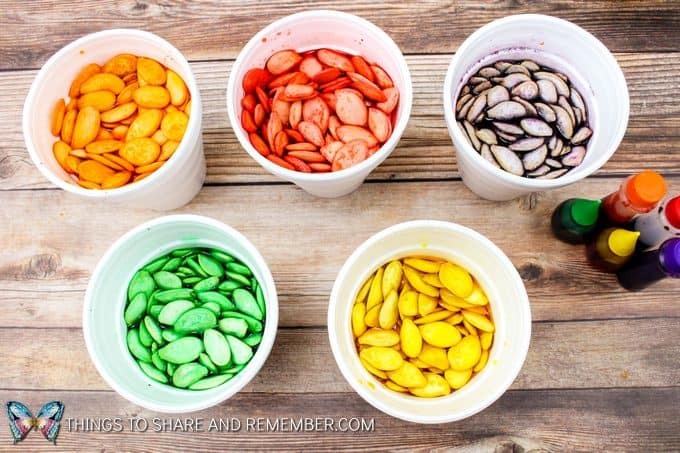 Divide the seeds and place some into each cup and mix well. Let the seeds soak for about an hour. 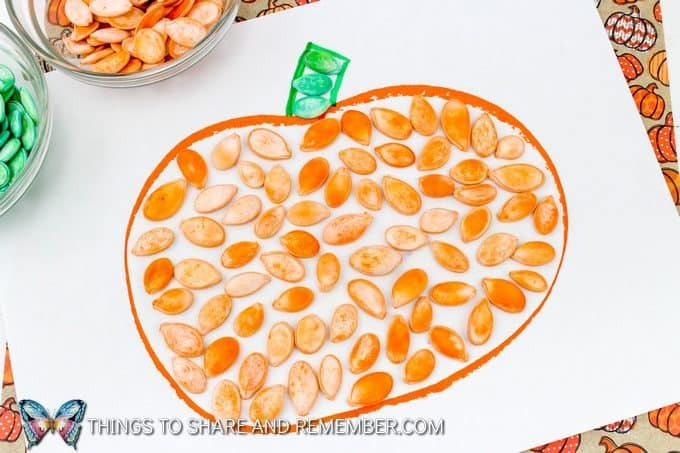 Lay out on a wax paper lined baking sheet, and let dry overnight. Children will love the fun colors! 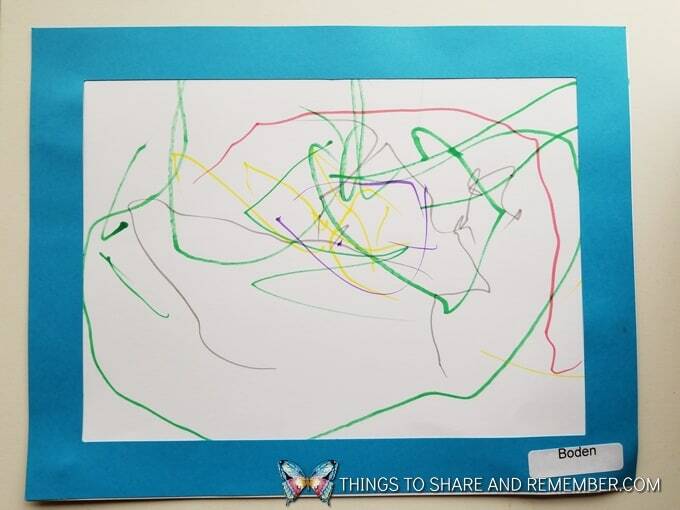 On a sheet of paper draw an outline of a fall picture. Examples: Tree, Pumpkin, or an apple. 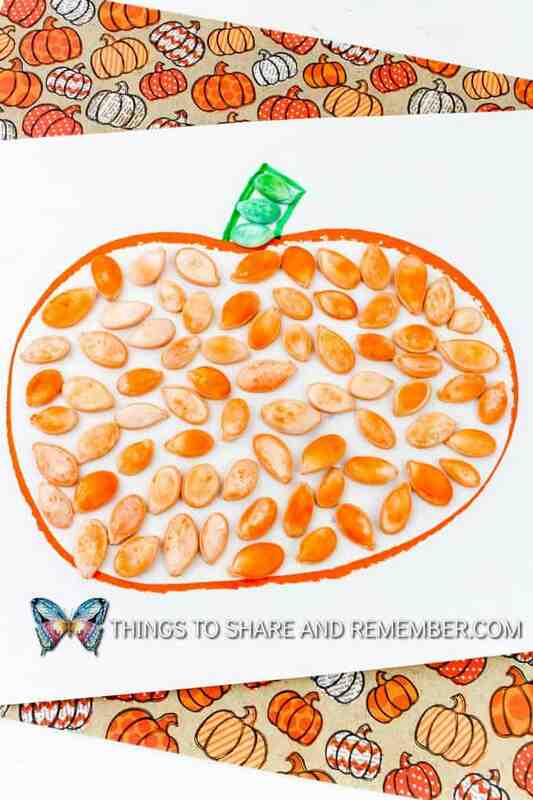 Use the pumpkin seeds to fill in the picture by placing glue in the outline and placing seeds all over. Let dry for about 5-10 minutes. 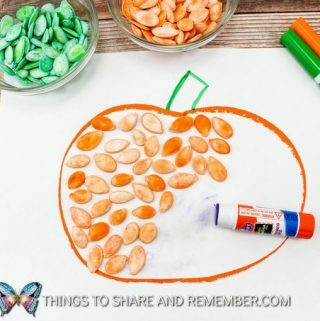 You may want to try using a heavier duty glue but if it’s applied thick enough, the seeds will stick with a glue stick. Otherwise, practice “dot-dot-not-a-lot” with a glue bottle. You don’t want those seeds too wet. 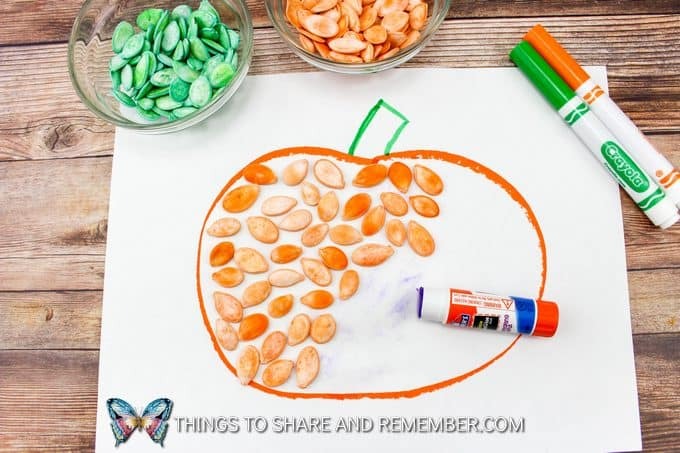 Have fun with the endless possibilities with this fun fall craft!